Affordability is the results obtained from the analysis of the Life-Cycle Cost (LCC) of a proposed acquisition, which the purchase is in accord with the resources and long term requirements of the acquirer. 3. Full-time funding: It’s a DoD policy that all programs seek full funding. For Major Defense Acquisition Programs (MDA) at Milestone B, the Milestone Decision Authority (MDA) must certify in writing to Congress that the program is fully funded for the period covered by the Future Years Defense Program (FYDP). Program funding instability is one of the top three reason programs experience cost, schedule and performance instability. 4. 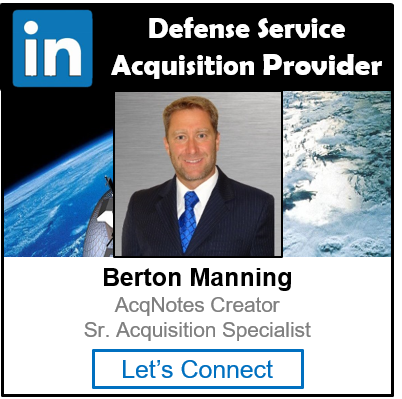 Cost As an Independent Variable (CAIV): Methodology used to acquire and operate affordable DoD systems by setting aggressive, achievable LCC objectives and managing achievement of these objectives by trading off performance and schedule as necessary. Cost objectives balance mission needs with projected out-year resources, taking into account anticipated process improvements in both DoD and industry. CAIV is part of a programs Acquisition Strategy.